Music and Memory is a signature program at Schlegel Villages where residents living with dementia are given iPods with personalized music. This study aims to evaluate how this program is implemented and how different factors may affect the program’s success. 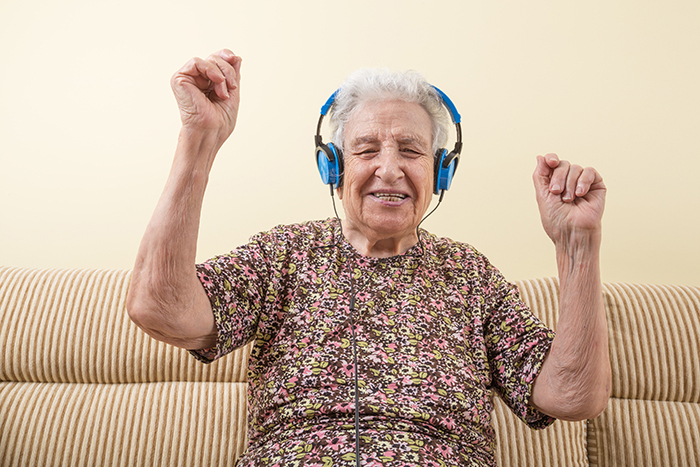 Music therapy has a positive impact on people living with dementia, cancer, HIV/AIDS, and autism. Programs that can make a positive impact on quality of life are important in long-term care, especially since more residents are living with dementia. Music and Memory is a signature program at Schlegel Villages. This program uses “personalized music” where unique playlists with personal significance are created for each resident. The music is presented on an iPod with headphones for the individual’s use. Exploring benefits of personalized music as well as environmental factors (e.g., noise level, number of people around) can help us understand how this program can have the biggest impact on residents. A team member in the village observed participants in the program periodically and made notes about when and where participants prefer to listen. Overall, it was concluded that the participants did show a positive change in quality of life while participating in the program, however there were no significant interactions between the factors or in the interaction of the factors with time. The information gathered from this study helps us understand what makes the Music and Memory program successful and how we can make the best use of it to increase quality of life for participants.